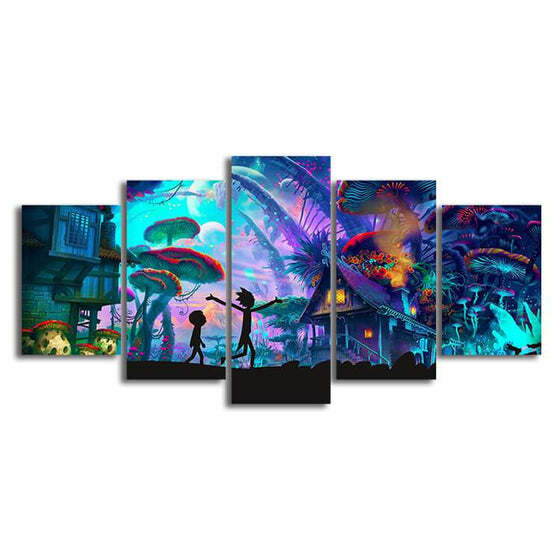 The Rick and Morty Canvas Wall Art is a premium canvas print featuring Rick and Morty in their misadventures. 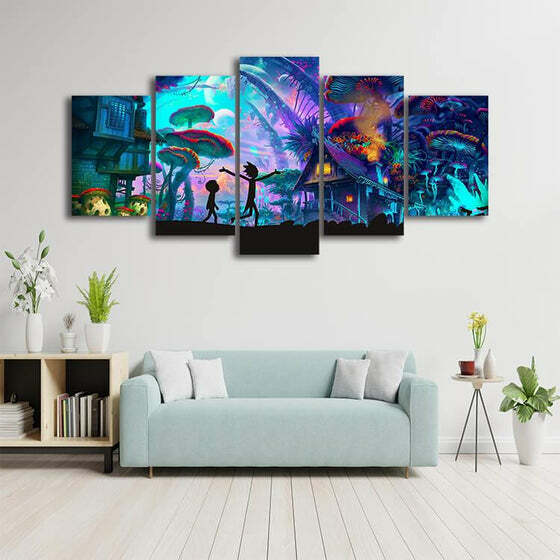 Made with stunning colors and durable materials, this wall print will surely add life to your walls as if you are part of Rick and Morty's fun adventures. Buy now since stocks are limited! 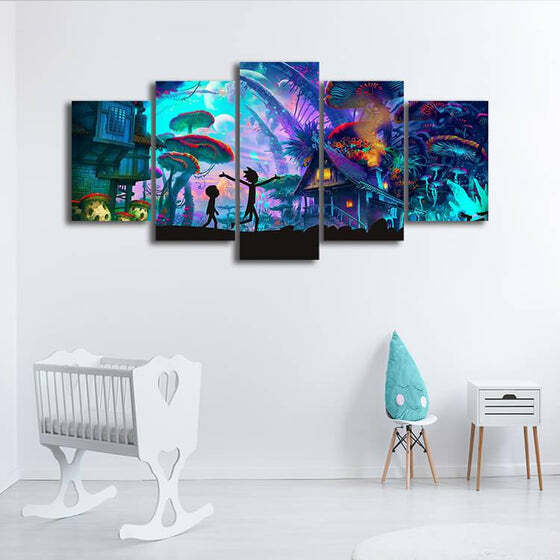 Available in 3 sizes for both framed and non-framed variants! 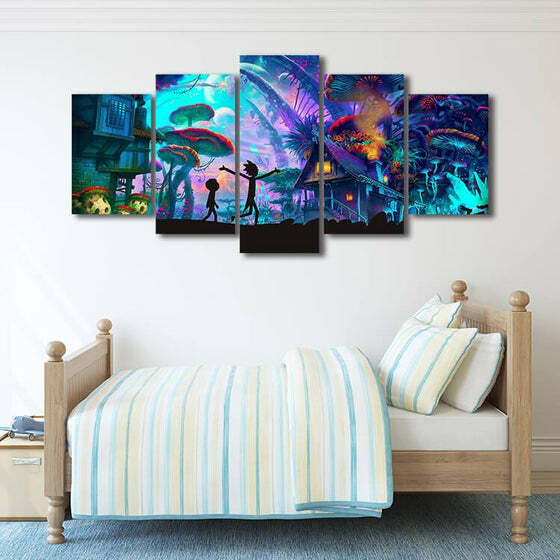 I got these for my bedroom. They look great! I hung them using velcro strips instead of nails. They now look amazing. I'd suggest others do that as well. Very happy with the print quality. Awesome! 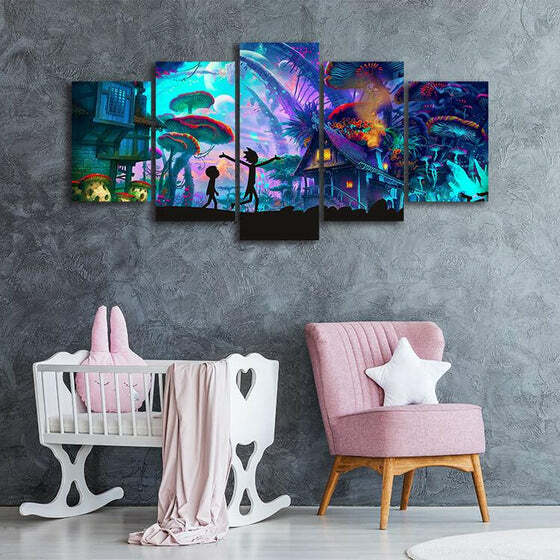 My kids loves it! Excited to have them framed! One piece of the panels pic was broke (the wood) and when I reported it to their support they were willing to replace it. 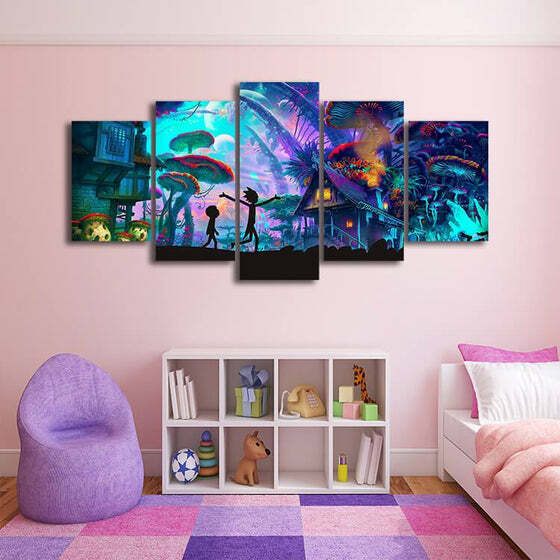 The product is okay, the quality of the picture is good and it's look nice on the wall. The delivery was fast. Amazingly surprised, the colors are so bright! Great purchase! Great picture. Fast servic. Love the positive affirmation emails weekly. Thank you! I live in an apartment where you can’t paint the walls and these paintings accented the walls so nicely. I ripped them right out of the package and put them on the wall immediately. Excellent purchase and highly affordable. Just what I ordered. Came quickly and good quality. Very very beutiful et quick shipping . Although my order was not the correct one, they were fast to replace it. The expected arrival of my order was not met and it came without a structure. Not a satisfied customer at all. I like how the color changed as I change my light's brightness. I was about to place an order but realized there wasn't a discount. I left a message on their Facebook page and they immediately gave me a discount code. 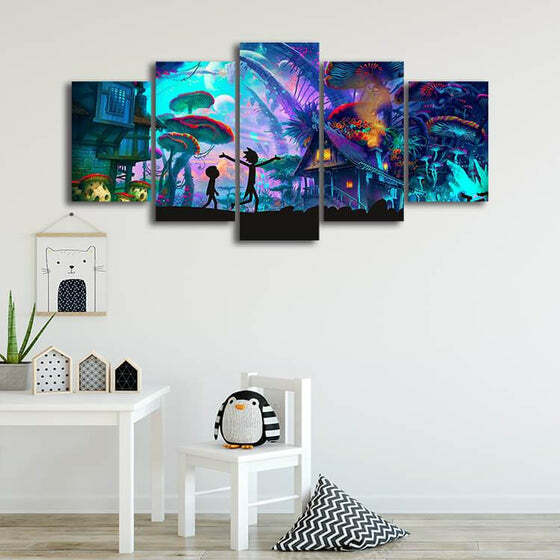 I'd be lost without my Canvasx Wall Art. Best. Product. Ever! 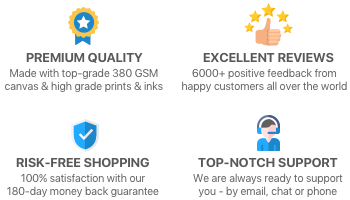 Wow what great service, I love it!